Humanity’s first art was the splattering of paint upon cavern walls, the creation of visual descriptions of the world. Though basic and rudimentary, it was a form of self-expression, which is what loosely connects all art. 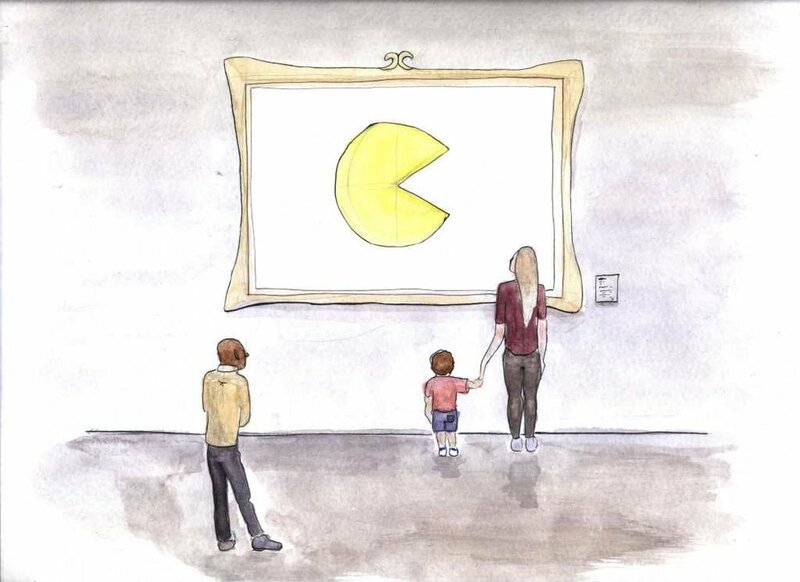 From the attempt to represent reality with realism to the subjectivity of the artist through styles such as expressionism, a new medium emerged in the late 20th century: video-games. This was an art form that sought not to represent any reality, but rather to transform a fantasy into a palpable (and to some extent, a livable) experience. Accessible like no other art form, video games rely on elements from other mediums while introducing interactivity to creative expression. Though games are creations of man, chess, checkers, and card games cannot be considered art. As film critic Roger Ebert famously put it, “One obvious difference between art and games is that you can win a game. It has rules, points, objectives, and an outcome. Santiago might cite a [sic] immersive game without points or rules, but I would say then it ceases to be a game and becomes a representation of a story, a novel, a play, dance, a film. Those are things you cannot win; you can only experience them” (Videogames Can Never be Art). Video game luminary Brian Moriarty supports Ebert in his “Apology for Roger Ebert”: “If Chess and Go, arguably the two greatest games in history, have never been regarded as works of art, why should Missile Command?” Like the film industry, however, gaming in the 80s was simplistic and not considered “great art.” Gaming in the 80s was more akin to the likes of chess, checkers, or card games, but games and art today are no longer mutually exclusive terms. Though Ebert is, in essence, correct, the winning versus experiencing argument is specific to traditional games and their structures. This assertion fails to consider the recent progress made in the video game medium. One of Ebert’s most inflammatory statements on video gaming as an art form was that “No one in or out of the field has ever been able to cite a game worthy of comparison with the great poets, filmmakers, and novelists” (Videogames Can Never be Art). All of Ebert’s arguments revolve around the claim that games are not art because of interactivity with players; however, this theory ignores that games derive elements from other art mediums to convey meaning alongside the interactive element. Despite Ebert’s claims to the contrary, if a game has gorgeous visuals, serene music, a well-formulated narrative, and a compelling message in addition to implementing users’ interaction, the game must still be regarded as art. Ebert’s reluctance to classify games as art recall the numerous times in history when critics rejected what they considered “degenerate” art due to the works’ innovation and originality. Much of this art is now regarded as part of a classical canon. The misnomer “game” is one that works against the scholarly acceptance of games as art. Many titles released in the game industry are not structured as traditional games. Thus, it may be more appropriate to refer to them instead as “interactive experiences”. This problem of a flawed naming convention, which detracts from the legitimacy of games as art, exists as a result of both the ancestral legacy of video games and the need to sell commercial products to an already well-established market. When it comes to video games, many are kitsch, some are sublime, and there are those that are not art. WITH GAMES RUNNING THE GAUNTLET BETWEEN SIMPLE SCORE-CHASERS LIKE FLAPPY BIRD AND EVOCATIVE WORKS OF ART LIKE THE ONES DISCUSSED FURTHER ON IN THE ESSAY, MISINFORMED CRITICS MAY FIND IT EASY TO DISCREDIT THE ENTIRE VIDEO GAME MEDIUM BY VIRTUE OF THE FORMER, AS EBERT DOES. HOWEVER, NO ONE IS LUDICROUS ENOUGH TO DISCREDIT THE FILM MEDIUM AS A GREAT ART FORM JUST BECAUSE THE MAJORITY OF THE FILM FORM IS COMPOSED OF KITSCH WORKS. As sure as there are sublime artistic films or books, so are there are sublime video games. Moriarty finds choice in video games at odds with Schopenhauer’s application of the sublime. If as gamers, we exercise choice to accomplish an in-game objective, we mirror the futility of our will to live, which is just an illusion of control. However, on the contrary, one must remember that in a game that tells a story, no one plays as themselves; rather, users play as game characters, which are representations of other people with their own distinct identities. If Schopenhauer’s philosophy of art rests upon using art as tools to overcome the will to live and to reflect upon art beyond its illusion then gaming proves to be quite capable of achieving the sublimity of art. In all other artistic mediums, the consumer is left to apply the art to himself in a way that will allow him to draw conclusions about his own reality. But in video games, the consumer lives within and through the video game character. People are told what they ought to learn when consuming film and literature. This disconnect does not exist in the art of video games. A video game does not teach through the “he,” the “she,”, or the “it”; ; instead, video games teach through the I. The most sublime type of art forces the viewer to learn something about himself or about his place in the universe, and nothing is more capable of doing so than the actual embodiment of a character through the self, which is only possible with the gamer’s input. NOT ONLY DOESN’T PLAYER INTERACTION IMPEDE ON VIDEO GAMES’ CAPACITY TO BE CONSIDERED ART, BUT THIS INTERACTIVITY ALSO UPLIFTS THE MEDIUM INTO AN ART OF ITS OWN. If the standard of critique for art in gaming is through a comparison to its literary, musical, visual, or filmographic counterparts, then it ignores the subtleties of the medium itself. If we, as critics, ignore player interaction, then we ignore gaming, and we ignore its unique artistic purpose. Ultimately, because video games as art is a relatively young medium that continues to progress exponentially every year, the critique of biased and ignorant critics carries little weight. However scholarly they may be considered in their respective fields of study, unless those critics have taken a serious look at something other than Pong (or similar games), their judgment should be considered outside of their expertise. The most enduring art is that which is understood by the masses in its comprehensive sense and also savored by those who are willing to go deeper into its intricacies. It must be infinitely complex for the scholars who are invested in its form, but under all interpretations and scrutiny, a work of sublime art nevertheless remains cohesive and understandable. There are two types of games that have the capacity to be sublime art: the game that uses its interactivity to highlight an artistic point; and the game that uses player interactivity to affect its narrative. Since the first type is more akin to the way gaming was in its formative years, let us consider Echochrome. 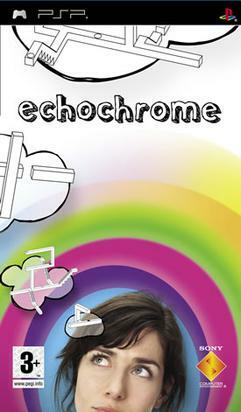 Echochrome, released in 2008, is a puzzle game reminiscent of an M.C. Escher drawing (consider Relativity), where the player guides a mannequin figure to an exit. Echochrome functions in such a way that whatever is shown from the player’s perspective is the reality regardless of the physical actuality. The movement of a 3D space within the game reflects this principle, and so do the physics. The player controls the rotation of a 3D stage of platforms in order to close gaps between other platforms or to conjoin platforms that are otherwise unconnected.The player accomplishes this task by changing the perspective from which the stages are viewed. It is literally an interactive Reutersvärd shape, something seemingly impossible on a two-dimensional plane, and made rational by the manipulation of its three-dimensional representation, similar to the way that a photographer can make an insect seem larger than a human by using clever positioning of his camera. A twist on an important element of a visual art, Echochrome forces the player to reconsider whether reality is fixed or dependent upon perspective, providing views of both the possible and impossible. If sublime art, as per Schopenhauer, is something that leaves the viewer stricken, then there is no better way to break the preconceptions of human perception than by showing its malleability – that the illusion created by our subjectivity can be seen truly as false if we simply adjust our perspectives. It shows reality not to be as rigid as it is generally considered. By constantly changing its configuration to solve a level, a player uses a variety of perspectives to contribute to the correct result, validating the notion that reality is indeed subjective. Echochrome reveals that the path to success requires a variety of perspectives. If man limits himself to one, then it is a futile act of self-sabotage in line with the futility of the will to live. In this way, Echochrome inspires sublime contemplation. The second type of games is those that emphasize interactivity in the narrative. There are plenty of examples of games with narratives that can be affected by the player. Today, this element enters more and more mainstream titles, such as Mass Effect and The Witcher. However, since these games have large portions of traditional “gaming” (ie. combat systems and their supporting elements), it would be more astute to discuss Heavy Rain,and The Stanley Parable, which eschews many traditional game mechanics. 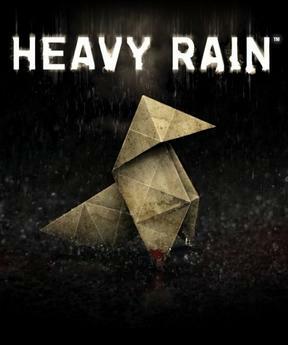 Heavy Rain, a premier title released in 2010 for the PS3, explores the lives of four different protagonists, all of whom are affected by a serial killer. The player is able to control all four characters and forms his or her interactions with not only the world surrounding them but with the other protagonists as well. Gameplay in Heavy Rain is limited to movement, object interaction, and quick-time events during dynamic, tense sequences – in short, it is not at all complex, and not necessarily suitable for players who enjoy games that challenge their skills. The genius of Heavy Rain resides in the narrative that adapts to the player’s choices, so much so that protagonists may die and the game can still continue. When playing Heavy Rain, gamers experience a story in which they become was emotionally invested in the characters that are in some ways extensions of themselves. GameZone’s Michael Lafferty wrote, “Heavy Rain is a remarkable achievement in gaming that creates an interactive experience that goes beyond the pages of a good novel or film noir. ” Unlike consumption of film, Heavy Rain is not just played; rather, it is experienced. The game forces a person to question his reality and moral codes by forcing him to murder characters to whom he has grown attached. This is a feat that Schopenhauer would certainly consider sublime. Roger Ebert revoked his earlier critique of games as non-art in the following: “What I was saying is that video games could not in principle be Art. That was a foolish position to take, particularly as it seemed to apply to the entire unseen future of games … It is quite possible a game could someday be great Art” (Okay, Kids, Play on my Lawn). The possibility has been realized, and the future promises to be just as boundless as when Ebert originally wrote his position – ashes to ashes, dust to dust. Video gaming, as an art form, is relatively young – its cannon has yet to be filled with games that embrace the uniqueness of the medium while perfecting what has been pioneered in the mediums from which it takes inspiration. Lafferty, Michael. “Heavy Rain: The Origami Killer – PS3 – Review.” Heavy Rain: The Origami Killer – PS3 – Review. N.p., n.d. Web. 9 May 2016. Makuch, Eddie. “Freemium Is the Future, Says EA.” GameSpot. N.p., n.d. Web. 9 May 2016. Moriarty, Brian. “Opinion: Brian Moriarty’s Apology For Roger Ebert.” Gamasutra Article. N.p., n.d. Web. 9 May 2016. Mullis, Steve. “In The Stanley Parable, Finding The Story Is The Game.” NPR. NPR, n.d. Web. 9 May 2016. Parkin, Simon. “The Guilt of the Video-Game Millionaires.” The New Yorker. N.p., 2014. Web. 9 May 2016. Poeter, Damon. “Report: Google Play Grows at Apple App Store’s Expense in 2013.” PCMAG. N.p., n.d. Web. 9 May 2016. “1001 Smartest Things Ever Said.” Google Books. Ed. Steven D. Price. N.p., n.d. Web. 9 May 2016. “Okay, Kids, Play on My Lawn | Roger Ebert.” Roger Ebert’s Journal. N.p., n.d. Web. 15 May 2016. “Video Games Can Never Be Art | Roger Ebert.” Roger Ebert’s Journal. N.p., n.d. Web. 9 May 2016. Schopenhauer, Arthur, and E. F. J. Payne. The World as Will and Representation. New York: Dover Publications, 1966. Print.